BOBBY JINDAL'S presidential quest may not take him all the way to the White House. But if his time on the campaign trail helps put assimilation back at the heart of the nation's immigration debate, he will have rendered his country a valuable service. The 44-year-old governor of Louisiana was born and raised in Baton Rouge. His parents had immigrated to the United States from Punjab in northern India, and Jindal's election in 2007 made him the first Indian American chief executive of any state in US history. But Jindal didn't run for governor as an Indian American, and he isn't running for president as an Indian American, either. Throughout his career he has championed the value and virtue of what used to be called "Americanization" — the patriotic integration of immigrants and their descendants into the American nation, so that they become Americans not just legally, but culturally and socially as well. "We must insist on assimilation," Jindal said in the closing moments of the Republican "undercard" debate in Cleveland last week. "Immigration without assimilation is an invasion." A TV commercial aired in Iowa by Believe Again, a super PAC promoting Jindal for president, highlights the governor's emphasis on making immigrants into Americans. "I am tired of hyphenated Americans," Jindal says in the ad, which features clips of a recent speech. "We're not Indian-Americans or African-Americans or Asian-Americans. We're all Americans." Instead of obsessing, as so many Republican candidates do, on the legal status of those who cross the border, Jindal emphasizes the importance of embracing the norms and mores of their new homeland. Immigrants, he declares, "should adopt our values, they should learn English, and they should roll up their sleeves and get to work." For most of American history, the belief that immigration should go hand-in-hand with assimilation was all but universally shared. There were debates aplenty about the most effective means of Americanizing the foreign-born, and there have always been restrictionists who argued that immigrants from certain countries were incapable of blending into the mainstream. When the Supreme Court upheld the atrocious Chinese Exclusion Act in 1889, it accepted the government's claim that immigrants from China had "remained strangers in the land, residing apart by themselves," and that they were unlikely "to assimilate with our own people or to make any change in their habits." Whatever one's views on the ideal number or nationality of immigrants, however, it was taken for granted until very recently that those who came to America should want to be American. What the conservative Jindal says on the subject in the 21st century is hardly different from what the liberal Louis Brandeis was saying a century ago. In a speech at Faneuil Hall in Boston in 1915, Brandeis argued that "the immigrant is not Americanized unless his interests and affections have become deeply rooted here" — until he comes to "possess the national consciousness of an American." 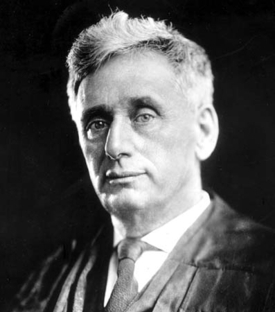 What the conservative Bobby Jindal says about the importance of assimilation today, the liberal lion Louis Brandeis was saying a century ago. In its 1912 platform, Teddy Roosevelt's Progressive Party explicitly included immigrants in promising workers "a larger share of American opportunity," even as it pledged "to promote their assimilation, education, and advancement." Americanization activities were taken up by public schools and private corporations, by nonprofit organizations and chambers of commerce. Not all assimilation programs were successful. Some relied too much on conformist pressure rather than on affectionate encouragement. But on the whole, Americans thought it only natural that immigrants should strive to become American, and immigrants of all backgrounds could feel that they were part of a single national family. The rise of militant multiculturalism undermined this consensus. Today's "progressives" tend to regard the old ideal of patriotic assimilation as a form of cultural suppression. Instead of celebrating a common American culture, they pursue "diversity," and elevate racial, sexual, and ethnic identities over national identity. E pluribus unum has been turned on its head. Because Jindal rejects the tribal politics that the left expects minorities to uphold, he has been attacked as an Indian Uncle Tom and mocked in a Twitter campaign linked by the hashtag #BobbyJindalIsSoWhite. 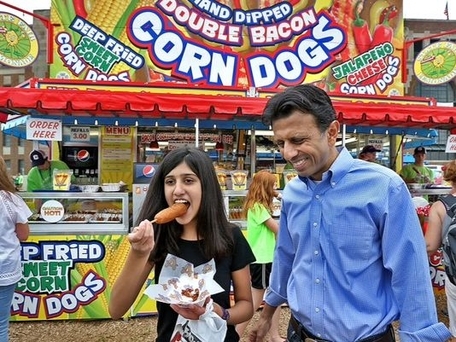 "There's not much Indian left in Bobby Jindal," a University of Louisiana professor sneered to The Washington Post. That might be a grievous shortcoming, were Jindal running for office in India. But he is running in his own country, which he makes no apology for loving. "My dad and mom told my brother and me that we came to America to be Americans," Jindal says. "If we wanted to be Indians, we would have stayed in India."